KAMI’s been a consistent favorite in Chicago since the Savemoney affiliate emerged onto the scene as part of Leather Corduroys, and the release of his “Just Like The Movies” and “Superstar” projects has KAMI picking up the larger acclaim his talent demands. Now, he’s teamed up with go-to producer Smoko Ono for a new single that proves they’re going for the kill. 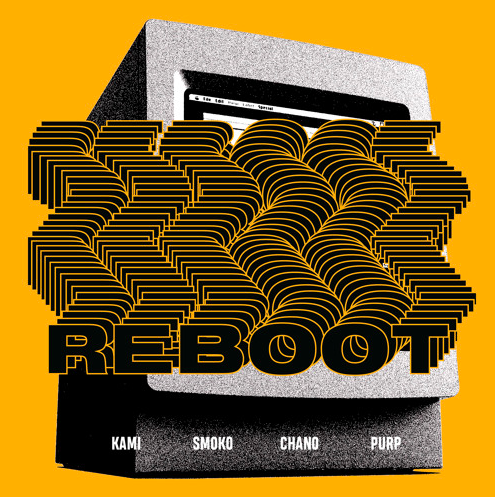 On “Reboot”, the rapper-producer tag team recruits a lineup of their closest collaborators and some of Chicago’s heaviest hitters. They call in Chance to do what he does best, and Channo delivers with a flow completely out of left field delivered in a way only he could pull off. Right after that, Joey Purp makes his appearance, recalling the same explosive energy that he channeled with KAMI when they honed their craft as Leather Corduroys. Soundtracking the Savemoney reunion is a barrage of punchy drums and breezy synths courtesy of Smoko, laying the blueprint for a hit to be made. Smoko and KAMI no doubt have a formula for success that they’ve concocted through countless collaborations in the past. With “Reboot”, they cook up a club banger while keeping it all in the family, leaving us anticipating their forthcoming collaborative album “Very Slight”.